© Kirk Feral 2009-2019, All Rights Reserved. These materials may be duplicated and shared for educational purposes only. No part of this website may be duplicated or distributed for profit, for commercial purposes, or for posting to another website, without the expressed written consent of the copyright holder. Readers may post comments or share results of their own magnetic testing in the Comments section. The intent of this website is to introduce the magnetic wand and testing method to hobbyists, as well as to professional gemologists and researchers, and to demonstrate the extraordinary effectiveness of magnetic testing. The Overview and How To sections of this website can be used as supplemental course material for gem identification classes. Gem ID course instructors may freely print or digitally share website content copyrighted by this author. Testing with a magnetic wand is a qualitative method that can provide critical clues to gem identification, as can other qualitative methods such as spectroscopy and gem fluorescence. 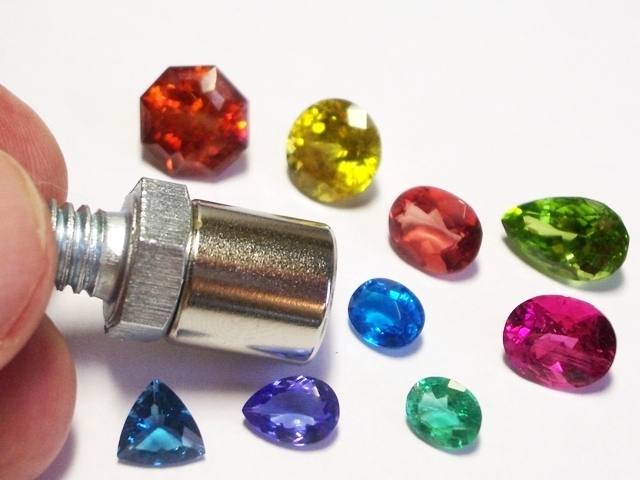 Exact quantitative measurements of magnetic susceptibility for all gemstone species and varieties using a Hoover balance are also discussed throughout our website, with particular emphasis on Garnet identification. The majority of information regarding magnetism in gemstones presented in this website, including all reference charts and research results, is new material that has not been published elsewhere. This information was developed through our systematic investigation of magnetism in thousands of gemstones held in private collections. Our Magnetic Susceptibility Index, created and expanded since 2009, is the only published index that provides both qualitative response ranges and quantitative magnetic susceptibility ranges for most gemstone species and varieties. All photos in this website, except those noted, were taken by this author. The concept of using a hand-held magnet as a gem identification tool is not new. Renowned British gemologist Basil Anderson proposed it in 1953. Prior to our own comprehensive studies of gem magnetism that began in 2008, Sylvia Gumpesberger (2006), Don Hoover (2007) and a few other innovative researchers published important preliminary investigations of gem testing using stronger rare-earth magnets. But for the most part, the proven value of magnetic testing has been overlooked or dramatically underestimated. As of 2019, the magnetic wand remains unfamiliar to most gemologists, students, collectors, faceters, jewelers, and gem dealers. 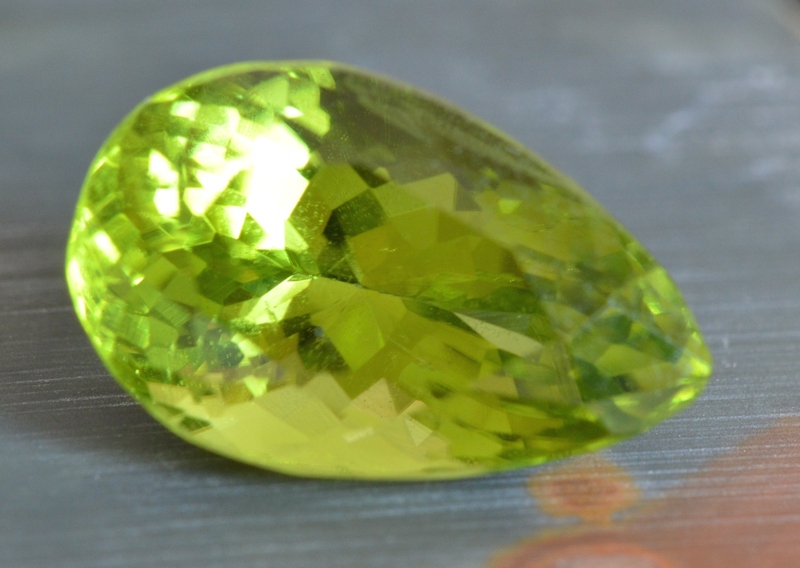 This website provides information to help you get started using this tool, including: 1) an overview of magnetism in gemstones 2) ﻿how to use a magnet for gem identification, and where to buy magnets 3) an ﻿index﻿ of magnetic responses for 350 gem and mineral species and varieties, and 4) a reference chart for separating look-alike gems. Additionally, five individual sections of this website present in-depth research studies on magnetism in Diamond, Sapphire & Ruby, Tourmaline, Garnet and Spinel. These gem-specific sections emphasize how magnetic responses and measurements aid in gem identification. If you collect, sell, facet or work with gems and need to know how to identify them, a magnet belongs in your set of standard testing tools, alongside your refractometer, specific gravity tester, microscope, polariscope, dichroscope and spectroscope. Once you start working with a magnet, you'll find magnetic testing quickly becomes an essential part of the identification process for all Colored Stones, as well as Diamonds. A magnetic wand made from a strong neodymium magnet is one of the most useful, and least known, tools for basic gem identification. Because every type of gem shows a characteristic range of responses to a neodymium magnet, we can use such magnetic responses to help us identify gems. 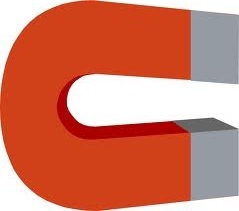 A magnetic wand is an extremely sensitive instrument that can detect very slight magnetism. Wands are small and portable, and simple to use. Unlike many other gemology tools, neodymium magnets are accessible to everyone, and magnetic wands can be easily assembled for just a few dollars. "Magnetic testing as Feral describes should be in the tool kit of all practicing gemologists." Among its multiple uses, a magnetic wand provides a quick means for identifying Garnet. 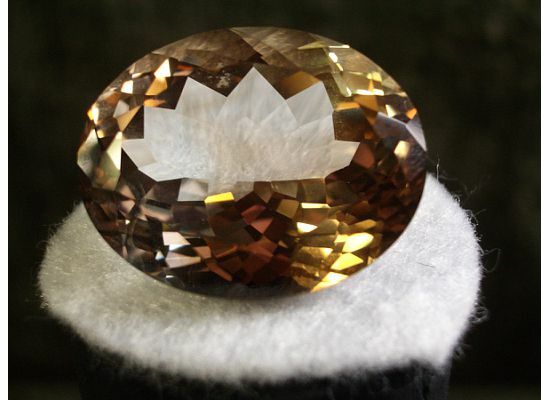 Most Garnets pick up. Differences in magnetic response can also be used to distinguish some natural gems from synthetics and imitations. 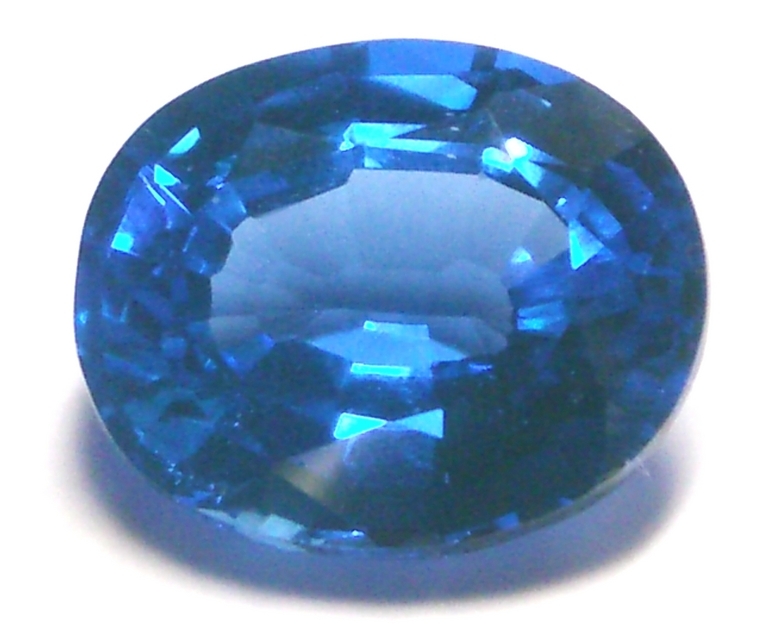 For example, natural blue Spinel can in most cases be distinguished from synthetic blue Spinel, and natural Diamond can often be separated from lab-created Diamond. 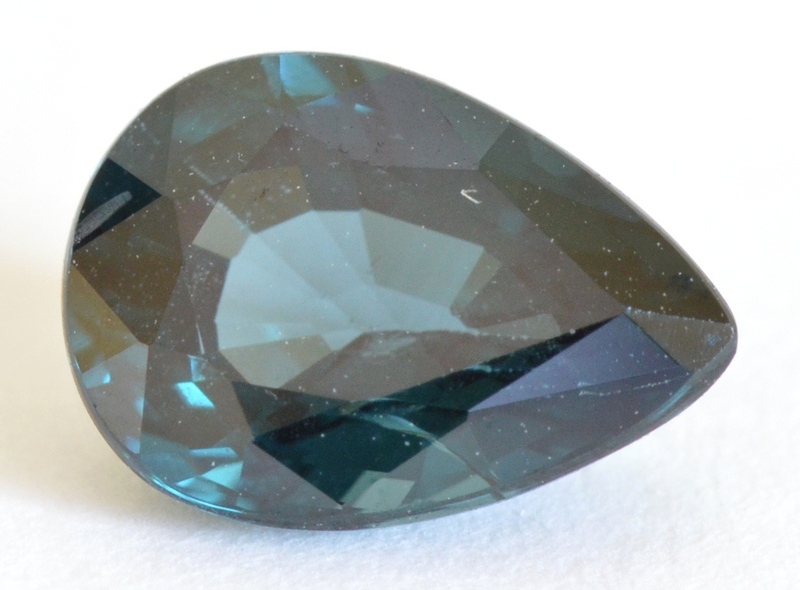 A magnet can be used to separate many types of gems that look alike, such as Aquamarine from blue Topaz, or Chrome Tourmaline from all other green Tourmalines. And magnetic testing can serve as an important method to corroborate the test results of your other gemology tools. 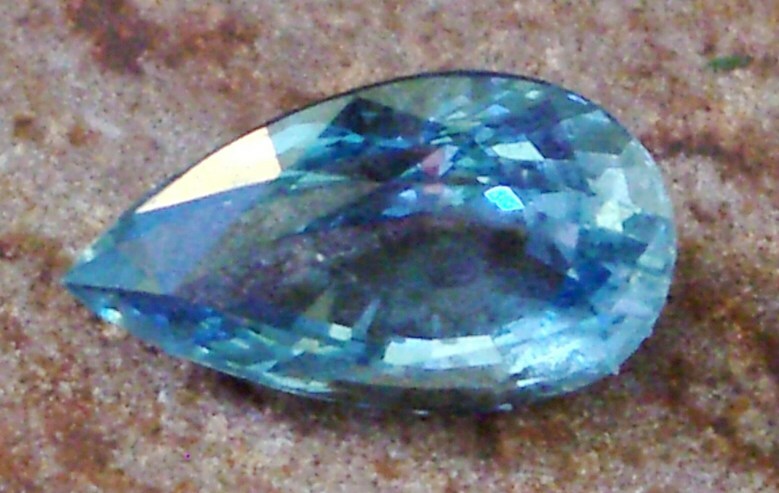 Many more uses are presented on the page titled 10 Practical Uses for Gem Identification. Like hardness or density, magnetism is a physical property that can be measured in rocks and minerals, and magnetic properties have long been studied by geologists and mineralogists. Precise measurements of magnetism in cut gemstones can now also be taken with the aid of a Hoover Balance. However, magnetism remains an unexplored frontier in gemology. Researchers have not scientifically investigated magnetism nor recognized the practical applications of the magnetic wand and the Hoover Balance. It is astonishing that very little information on gem magnetism can be found outside this website. The simple method of testing with a magnetic wand is missing from the curriculum of gemology classes taught by gemology institutes, universities and gem societies. The advantages of magnetic testing for gemologists are rarely mentioned in books, journals or online resources. And aside from our own Magnetic Susceptibility Index, listings of the magnetic properties of gemstones remain absent from all compendiums and indexes of gems, with the notable exceptions of Gemology Tools Professional and the Handbook of Gemmology.